and achieve optimal health for life. and Sports Physical Therapy clinic in Beverly Hills. to expedite recovery and achieve optimal health for life. …the only physical therapy practice in Beverly Hills to receive the GOLD standard award by the largest nationally known Physical Therapy Network ( PTPN ) and all their contracted insurance companies. …the only orthopedic physical therapy practice in Beverly Hills contracted with Cedars Sinai Medical Care Foundation to treat their patients for the last 20+ years. Orthopedic Physical Therapy usually includes a variety of treatments including mobilization, massage, passive and active stretching, strengthening, functional training, spinal stabilization, and modalities. 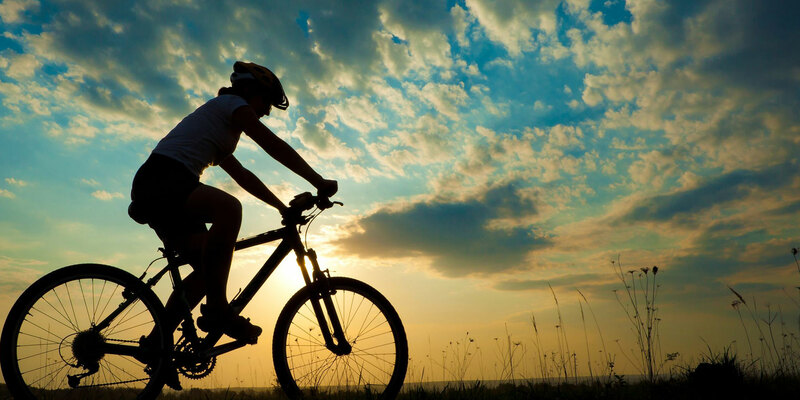 Sports Rehabilitation combines physical therapy and sports medicine.Treatment is directed not only to the injured area, but also to any surrounding structures that may have weakness or restricted motion. Pediatric physical therapy uses treatment techniques to help babies, children, and adolescents accelerate normal movement and reach their highest functional potential. Women’s Physical Therapy Specialists is the dedicated to addressing special health concerns of women including pelvic floor pain, cancer, lymphedema, pregnancy related pain. Post partum, or incontinence issues. Arthritis physical therapy can help decrease pain and symptoms associated with osteoarthritis , rheumatoid arthritis, lupus, and ankylosing spondylitis. Our joint replacement rehab program will help prevent joint stiffness and regain full strength and mobility after shoulder, knee, ankle, or hip replacement surgery. In balance physical therapy, therapeutic exercises and neuromuscular re-education will be used to target physiology systems, including vision, somatosensory, and musculoskeletal, in order to improve balance in all activities. Neurorehabilitation combines functional exercise and proprioceptive neuromuscular techniques to facilitate motor control in affected areas. Many of our executives, professional athletes, and high profile entertainers prefer to have one of our experienced physical therapists, trainers, or massage therapists come to their home for home physical therapy. Treatment of TMJ usually includes the use of manual techniques such as myofascial release and/or joint mobilization, and the strengthening of postural and jaw muscles to help decrease symptoms. Acupuncture can help accelerate recovery of many musculoskeletal injuries or illnesses. Occupational hand therapy can help accelerate recovery after an injury to the nerves, bones, tendons, ligaments, or muscles of the hand. Pilates is a specialized spinal stabilization exercise that increases muscle balance, strength, flexibility and improves posture. Our massage therapists specialize in deep tissue/sports massage, curative massage, aromatherapy massage, lymphatic, and prenatal massage. Fit for Life program is a holistic fitness plan that incorporates health conscious ways of restoring the body to its optimal health through means of weight loss, specialized exercise, stress-reducing techniques, massage, and acupuncture. Weekly weight loss management will help develop healthy eating habits for life. Women’s Physical Therapy Specialists can help shed your excess pregnancy weight as well as giving you the option to bring your baby along with you. The Stay Cancer Free Program offered by Women's Physical Therapy Specialists has a multi-disciplinary approach offering customized programs for all cancer- free patients that have completed their cancer treatment. 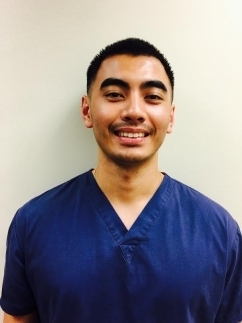 Alex Reyes, PT, OCS Alex Reyes, PT, OCS, graduated from UCLA with a B.S. in Physiological Science and continued his education at USC for a Masters in Physical Therapy. He completed both the Kaiser Permanente Orthopedic Residency and Maitland programs and became a Certified Orthopedic Clinical Specialist (OCS) in 2003. In the clinic, he specializes in Grade V Passive Mobilizations, especially of the spine. In his spare time, Alex has developed an exercise program for his son’s basketball team and teaches martial arts to provide a safe way to train while promoting injury prevention. 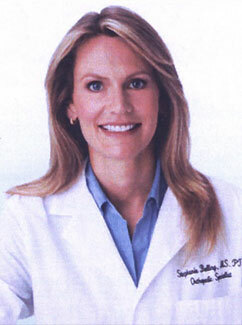 Brooke Israel, DPT, graduated from University of California, Davis with a Bachelor’s degree in Exercise Biology and a minor in Psychology, and received her Doctorate of Physical Therapy degree from San Diego State University. She entered the profession of physical therapy to help restore normal, pain-free movement that is usually taken for granted. Brooke is passionate about improving the quality of life of her patients. When she is not at the clinic treating patients, Brooke enjoys watching and cheering on her LA sports teams, spending time with her family and friends, catching up on TV shows and movies, going out to try new restaurants, and hiking. 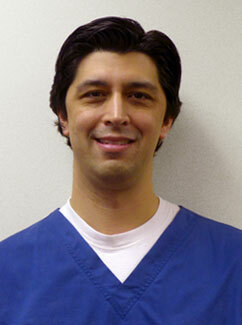 Jeff Bradley, DPT, OCS, ATC, graduated from the University of Arizona with a B.S. in Exercise Science. He then went on to graduate from CSU-Long Beach with a Master’s Degree in Physical Therapy in 2001. Jeff completed the Kaiser Permanente Orthopedic Physical Therapy residency program and later received his athletic training certification to help improve his passion for treating athletes. He recently received his Doctor of Physical Therapy degree from Temple University and has special training from the Titleist Performance Institute to which gave him the skills to perform a golf-specific physical examination to improve performance and prevent injury. Jeff’s interests include watching musicals, taking care of his pets, and instructing suspension exercise by use of the Redcord. Lindsay Brunner, DPT, graduated with her Doctor of Physical Therapy from Mount St. Mary’s University. 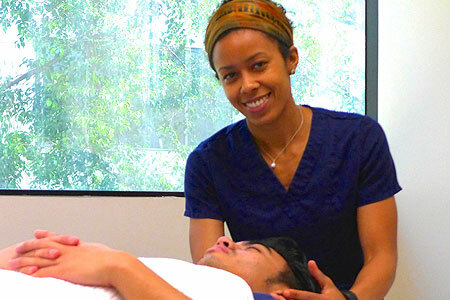 She is currently participating in the Orthopedic Residency Program at Kaiser Permanente in order to specialize further in Orthopedic Physical Therapy. Before becoming a physical therapist Lindsay was a yoga instructor, where she discovered her love of helping people move and strengthen their bodies. As a physical therapist Lindsay works with patients to optimize their movement, incorporating manual therapy, targeted exercise, and postural training to increase function and quality of life. Outside of the clinic Lindsay enjoys hiking with her husband and dog, practicing yoga, traveling, and spending time with family and friends. 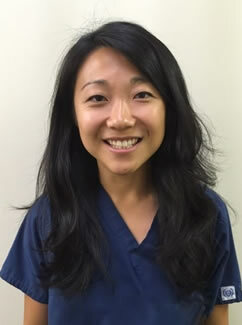 Fei Zang, DPT, graduated from Washington University in St. Louis with a B.A in Biological Sciences and Psychology and received her Doctor of Physical Therapy degree from the University of Southern California. She entered physical therapy to help people move and get them back to doing the things they love. Fei has enjoyed continuing professional development as a member of the American Physical Therapy Association Orthopedic Section. When she is not treating patients, Fei enjoys distance running, traveling, and trying new recipes with her boyfriend. 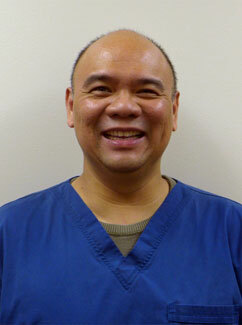 Lujaye Ramirez, DPT, received his Doctor of Physical Therapy degree from California State University of Long Beach. 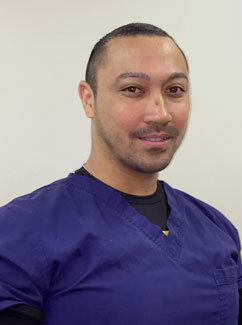 Lujaye has a passion for manual therapy but also puts strong emphasis on therapeutic exercises that reinforce his treatments for long term results and relief. 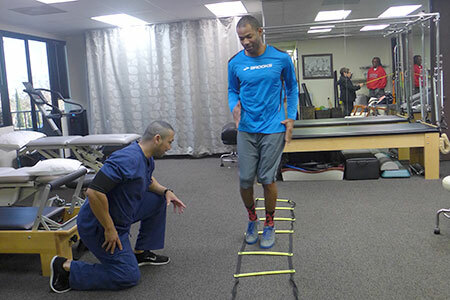 He continues to train under Alex Reyes and Dr. Yu with emphasis on 5 grades of spinal mobilization and neuro-muscular soft tissue techniques. On his spare time, Lujaye enjoys weight training, reading and hiking. John Steger, PTA received his Physical Therapist Assistant degree from PIMA Medical Institute in Denver, Colorado in 2011. 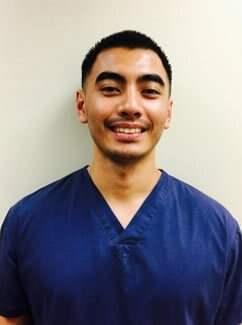 John continues to train under Alex Reyes and Dr. Yu with a focus on his specialty of manual techniques including: five different grades of Passive Mobilizations, especially of the spine and Neuromuscular soft tissue mobilization techniques that combines deep tissue with stretching and exercise. John is not only passionate about the unique manual techniques he performs, but he also finds it beneficial to educate his patients on the importance of combining nutrition and fitness for lifelong results. In his spare time John enjoys weight training, nutrition and cooking. Resting an injury can be the hardest part of recovery for active people who rely on exercise for sanity. However, if you know what exercises do not strain your injured area, you do not have to stop exercising. There are ways to keep muscles strong, without putting stress on your injury. Coming soon we will be posting a series of Youtube videos showing what exercises would be safe to do with any injury. 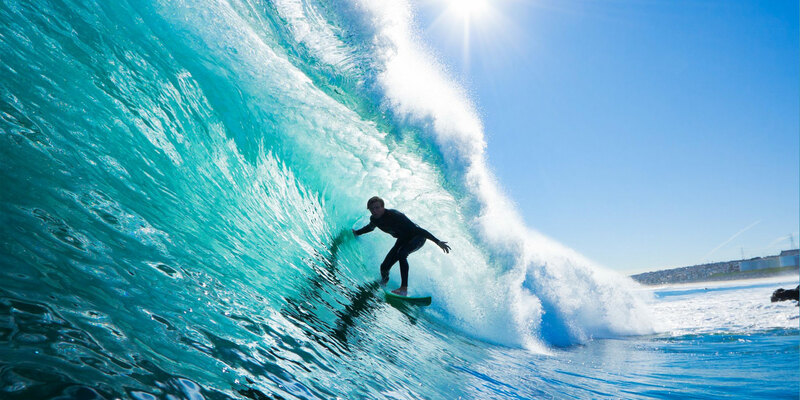 Physical Therapy Specialists of Beverly Hills' mission is to provide superior, effective, multidisciplinary, evidence-based care that will maximize progress and achieve optimal recovery. Every client receives individual attention at Physical Therapy Specialists. We perform a comprehensive evaluation in order to analyze the origin of your pain, the cause of your dysfunction, and/or the reason for your recurring injury. 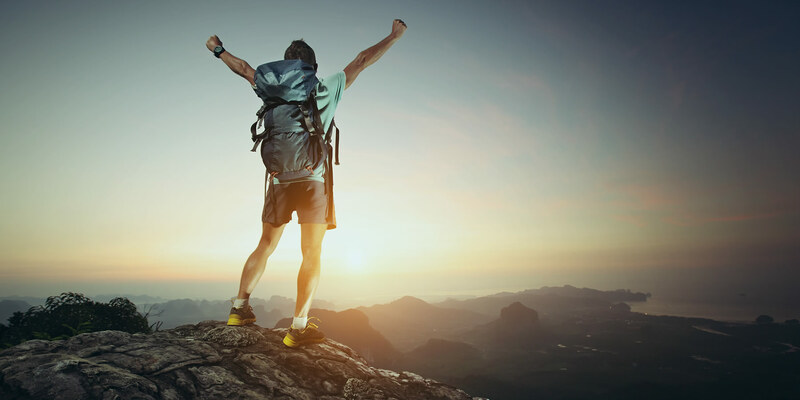 After a thorough evaluation and discussion of your goals, you will receive treatment and a plan designed to achieve those goals and maximize your progress. 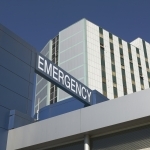 Our first priority is to treat the movement disorder causing your injury and alleviate your pain. 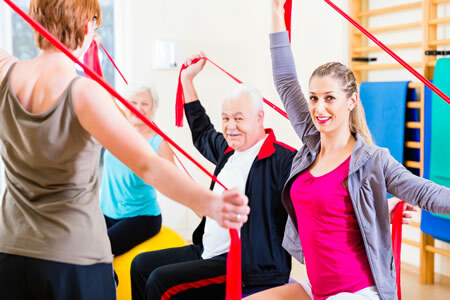 Physical Therapy often includes soft tissue mobilization, movement re-education techniques, joint mobilization, therapeutic and specialized exercise, functional training, spinal stabilization, pilates and use of modalities, such as ultrasound, vibratory massagers, and electrical stimulation. As your condition improves, we will teach you how to continue your treatment independently, as well as instruct you on injury prevention and a home exercise program customized to fit exactly what your body needs to function at optimal condition. New patients click HERE .